Coralynn here and I'm so glad to be back again on the BRI blog today with you all. 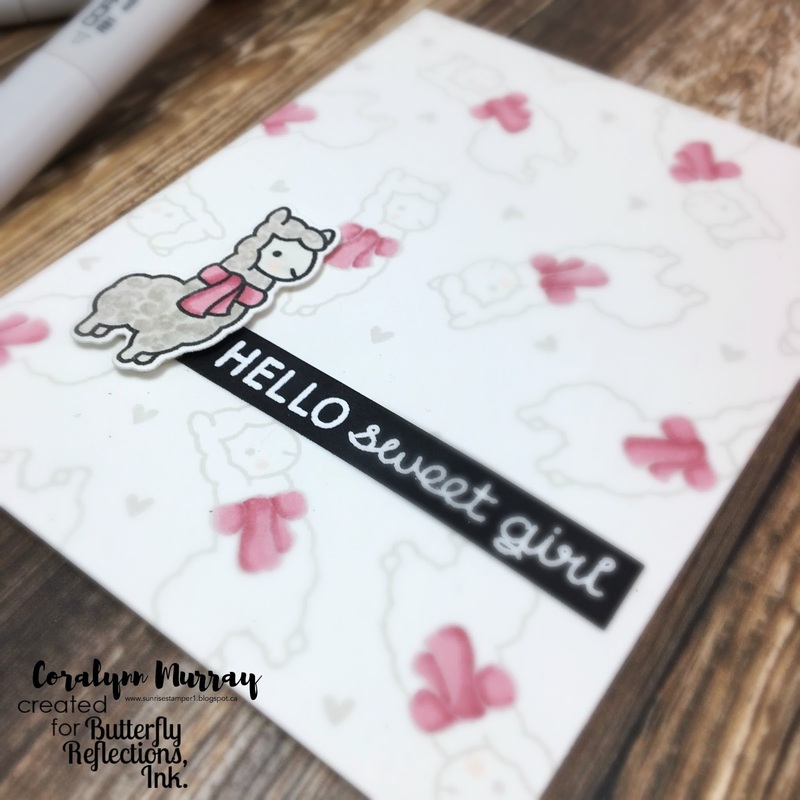 I have a friend that is having a baby girl soon and her colours are pink and grey so this is the card I created. I started out with the Lawn Fawn of course and the Winter Alpaca stamp set. 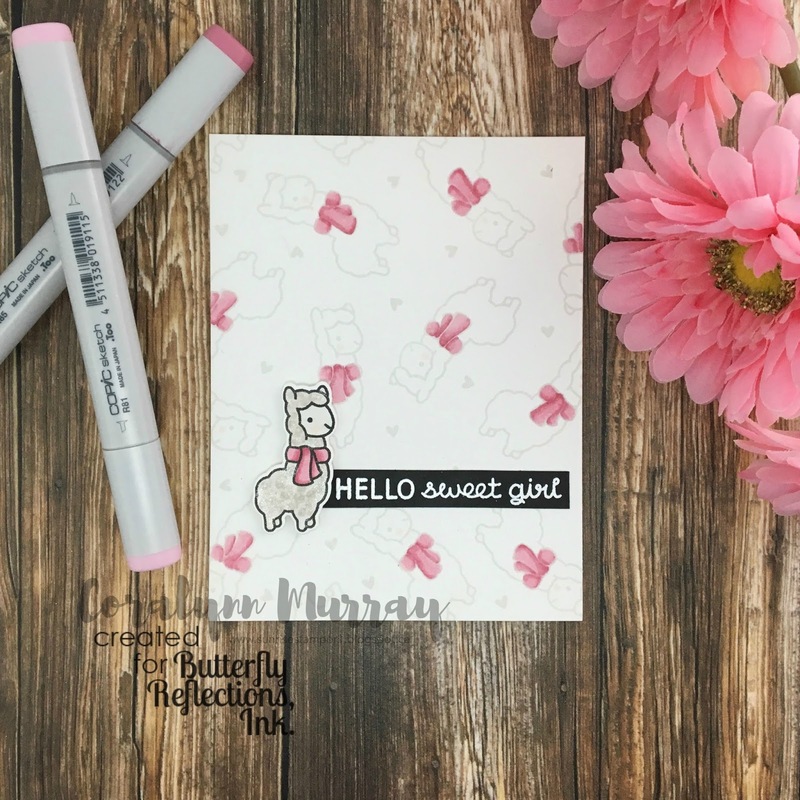 I stamped the Alpaca and the little heart in grey ink to create the background. I then took my copics and did a bit of no line colouring to just the scarf. I coloured another Alpaca with warm grey copics and the same colours for the scarf as the background and added some shimmer. Everyone needs a little shimmer in there life. I then stamped the sentiment from the Hello Baby set with Versamark ink and heat embossed with with Hero Arts white embossing powder on to black card stock. I then glued it to the card base and popped up the Alpaca die cut with foam tape. I added a bit of shimmer to the little hearts too and called this card done. 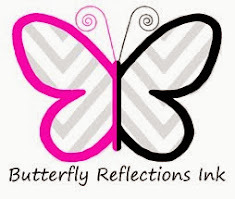 Be sure to stop by the Butterfly Reflections Ink shop for lots of wonderful goodies.